John Quirke resigned a seat that he had held for eight years in the South Australian Parliament to take up a casual vacancy in the Senate in September 1997. While he had little time to make his mark in federal Parliament before he was forced to resign due to ill health in 2000, he nonetheless made a solid contribution, particularly to the work of Senate committees. John Andrew Quirke was born at Birkenhead, UK, on 9 September 1950, the son of Mary Quirke, née McKeone, and William Patrick Quirke, a foreman fitter at a shipbuilding company at Birkenhead, on the Mersey River in Cheshire. In January 1959 John and his parents and older sister embarked on the SS Orion at Tilbury for a journey to Australia under the assisted migration scheme (he later referred to his family as '10-quid tourists'). They settled in Adelaide, where John attended Elizabeth High School, before studying at the University of Adelaide. Quirke was awarded a BA in April 1973, and later a Dip Ed. He taught in secondary schools in South Australia from 1973 to 1985. Quirke joined the Australian Labor Party in 1979, and it became his 'life for many years'. He soon became president of the Mount Lofty branch; by 1989 he was president of the Playford branch. He was a member of the state executive of the ALP from 1986, and attended national conferences of the party from that year, initially as a proxy delegate. Quirke made a number of attempts to enter Parliament in the 1980s. He was the ALP candidate for the House of Representatives seat of Mayo in 1984, but was defeated at election by Alexander Downer, and he contested the state seat of Alexandra in 1985, also without success. Quirke was an original member of the Centre Left faction of the South Australian Labor Party but due to a dispute over a preselection contest in 1995, he and more than a hundred other members defected to the Right faction; thereafter the Right and Left factions, known as the 'Machine', frequently combined to oppose the Centre Left. As a dominant member of the Right, Quirke was known to be a 'very tough operator' who 'gave no quarter and expected no quarter', and a power-broker influential in promoting the interests of members of his faction to obtain preselection for political positions. Quirke met his wife, Davina, through his involvement with the ALP, as she was a Right faction member. The couple have four sons. In 1985 Quirke gave up teaching to join the staff of ALP Senator Dominic Foreman, whom he accompanied to Canberra and for whom he wrote 'some brilliant speeches'. In 1989 he was elected to the South Australian House of Assembly for the ALP as the member for Playford; he was re-elected in 1993. A government backbencher during the last years of the Bannon Government, Quirke became a member of Mike Rann's shadow cabinet following the defeat of the ALP in the state elections of December 1993, when the party was reduced to ten members in the House of Assembly. His shadow ministries encompassed, at various times, Correctional Services, Emergency Services, Infrastructure, Mines and Energy, Family and Community Services, and State Services; from February 1994 to February 1997, he was Shadow Treasurer. Quirke was a frequent and effective speaker in the Parliament on the many issues relating to his shadow portfolios, and particularly finance, health, mining, and policing. As chair of the Economic and Finance Committee from August 1992 to February 1994, he was highly critical of the lack of progress on the proposed multifunction polis (MFP) for Adelaide, which he later claimed to have 'buried'. Interested in military history and a firearms enthusiast, he participated in a committee for the review of gun laws and spoke with authority on this subject, brought to the fore by the Port Arthur massacre in April 1996. Knowing that Senator Foreman was to retire due to ill health, Quirke contested an ALP Senate preselection contest for South Australia at a special state convention in May 1997 and won second place after sitting Senator Nick Bolkus. Foreman resigned on 15 September; Quirke resigned his seat in the SA Parliament on 17 September and was appointed by the Governor of South Australia to fill Foreman's casual vacancy on the following day, the process so expeditious that he was able to participate in the Senate on the day of his swearing-in, 22 September, in the valedictory debate for Foreman. His appointment was confirmed by a joint sitting of the SA Parliament on 9 December 1997. 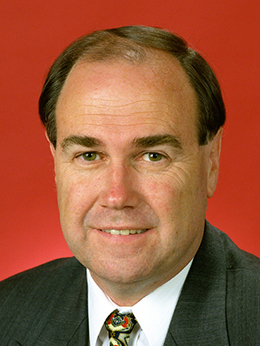 Quirke was elected to the Senate in his own right in the federal election of 3 October 1998. Familiar with the parliamentary environment and a confident speaker, Quirke 'slipped into the job like a hand into a glove', eschewing the questions often allocated to new senators, and participating in second reading debates from the outset of his time in the Senate. Senator John Faulkner noted his ability 'to jump in when he was asked ... whether it was participation in debates without any notice at all', and he put the ALP position on a range of financial matters such as the goods and services tax, the sale of Telstra, and superannuation; and on media, mining, defence and policing issues. He often related the subject matter to his experience in the South Australian Parliament, pleading the case for special consideration for regional economies such as that of his home state. Quirke was known for the brevity, focus and forthright nature of his speeches. While at times bitterly critical of the government, and of the Australian Democrats, with whom he claimed to have had long experience in South Australia, he was also often humorous. On one occasion he structured a speech on the Nuclear Safety Bureau around the words 'marshmallow', 'bagatelle' and 'whiffle'. He spoke in favour of a 'yes' vote in the referendum on the republic, arguing that Australia no longer had close trading links with Britain and that 'it is an anachronism ... to today toast the Queen of another country'. Quirke was elected a deputy whip in the Senate for the ALP on 20 October 1998. A member of the Joint Standing Committee on Foreign Affairs, Defence and Trade, as well as the pair of Senate committees in the same subject area, Quirke was an assiduous questioner of witnesses at estimates and other inquiries. Concerned for human rights issues, he attended hearings of the Legal and Constitutional References Committee into refugees in (1999–2000) as a participating member, and actively contributed to the report A Sanctuary Under Review. Quirke was chair of the Senate Select Committee on the Socio-Economic Consequences of the National Competition Policy, first appointed in July 1998 in response to concerns about the complex effects of the measures on competition agreed to by federal and state governments in 1995. Another committee member described Quirke's 'great verve and passion' in chairing the committee, which received 249 submissions and held hearings throughout Australia, and produced a unanimous report, Riding the Waves of Change, in February 2000. On 15 August 2000 Quirke resigned his Senate seat due to ill-health. He was suffering from Type-2 diabetes, and had collapsed at an ALP conference in Hobart two weeks earlier. On leaving the Senate Quirke began a lobbying company, Pallidon Pty Ltd, and opened an office on South Terrace in Adelaide. Among others, his clients have included development companies, such as One Steel, the Makris Group, and IronClad Mining. Between 2005 and 2013, he also served as a non-executive member of the board of Hillgrove Resources Limited, a company developing a copper mine at Kanmantoo in South Australia. Elected to the Burnside Council in 2006, Davina Quirke was appointed to the South Australian Development Assistance Commission in July 2009, but was obliged to resign in August following allegations of conflict of interest arising from her involvement in Pallidon, which listed clients who were being assessed by the government for development applications. The concept of Quirke as a 'hard, stern' numbers man, while canvassed in valedictory speeches in the Senate following his resignation, was tempered by references to his warmth, friendliness and humour. His undoubted toughness seems to have been felt more by members of rival factions in the South Australian branch of his own party than by those opposing him in the Senate. CPD, 2 Oct. 1997, pp. 7506–9; ALP, Biographical Details, House of Representatives and Senate Candidates, 1984, p. 69; The Herald (ALP) (Adel. ), Summer 89/90, p. 3. Advertiser (Adel. ), 29 Nov. 2001, p. 19, 27 Dec. 1996, p. 2; CPD, 16 Aug. 2000, pp. 16452–6; SAPD (A), 6 June 1996, pp. 1732–3, 17 Oct. 1996, pp. 264–5, 24 July 1997, pp. 2042– 4; CPD, 27 April 1999, pp. 4348–50; SAPD (A), 23 July 1996, pp. 1989–93, 2044–5, 2050–1, 24 July 1996, pp. 2066–7. Labor Herald (Adel. ), July 1997, p. 19; CPD, 22 Sept. 1997, pp. 663–6, 16 Aug. 2000, pp. 16452, 16453, 18 Nov. 1997, pp. 9040–2, 2 March 1998, pp. 108–9, 3 March 1998, pp. 187–9, 25 June 1998, pp. 4081–3, 26 June 1998, pp. 4258–62, 1 July 1998, pp. 4553–4, 27 April 1999, pp. 4348–50, 30 Oct. 1997, pp. 8492–4, 5 March 1998, p. 542, 10 Aug. 1999, pp. 7200–4. Senate Legal and Constitutional References Committee, A Sanctuary Under Review: An Examination of Australia's Refugee and Humanitarian Determination Processes, Canberra, 2000; CPD, 16 Aug. 2000, p. 16528; Select Committee on the Socio-Economic Consequences of the National Competition Policy, Riding the Waves of Change, Canberra, 2000. Advertiser (Adel. ), 16 Aug. 2000, p. 2; Independent Weekly (Adel. ), 9 June 2007, p. 2; Advertiser (Adel. ), 19 Dec. 2009, p. 10, 2 July 2011, p. 7; CPD, 16 Aug. 2000, pp. 16451–64, 16524–9. This biography was first published in The Biographical Dictionary of the Australian Senate, Vol. 4, 1983-2002, Department of the Senate, Canberra, 2017, pp. 307-309.